This is a flat double happiness wedding invitation card with front and back print. 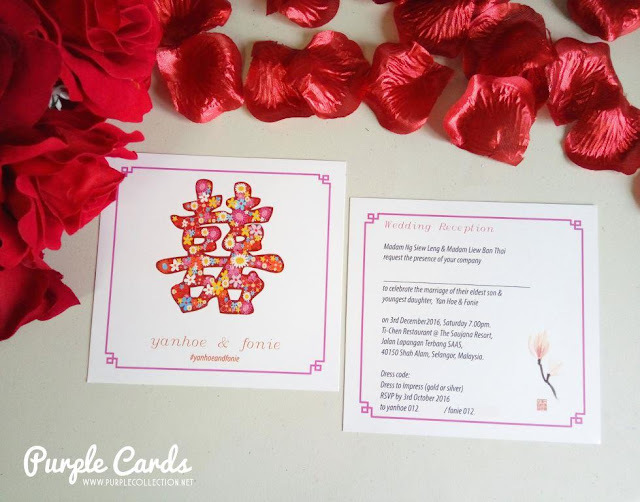 Each card comes with a red square envelope. 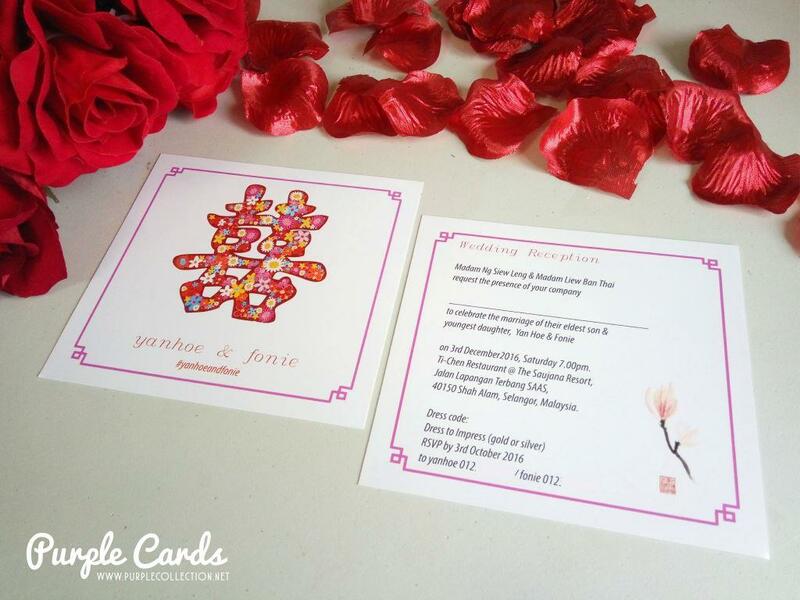 To inquire more on ordering wedding cards or designing, kindly click on the enquire now button.